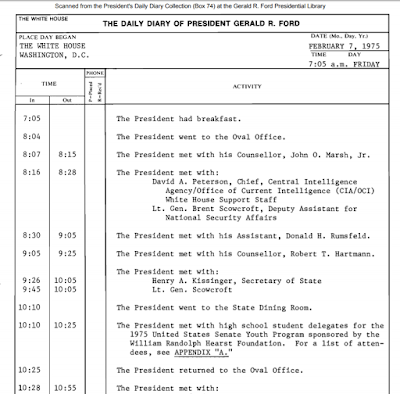 The calls and meetings are understood to include the Fox hosts Sean Hannity and Lou Dobbs, longtime friends such as his lawyer Rudy Giuliani, the New York businessman Richard LeFrak, the conservative media entrepreneur Chris Ruddy and the former bodyguard Keith Schiller, and members of Congress including senator Lindsey Graham and the US representative Mark Meadows. He also phones journalists at the New York Times and elsewhere to complain about their coverage. 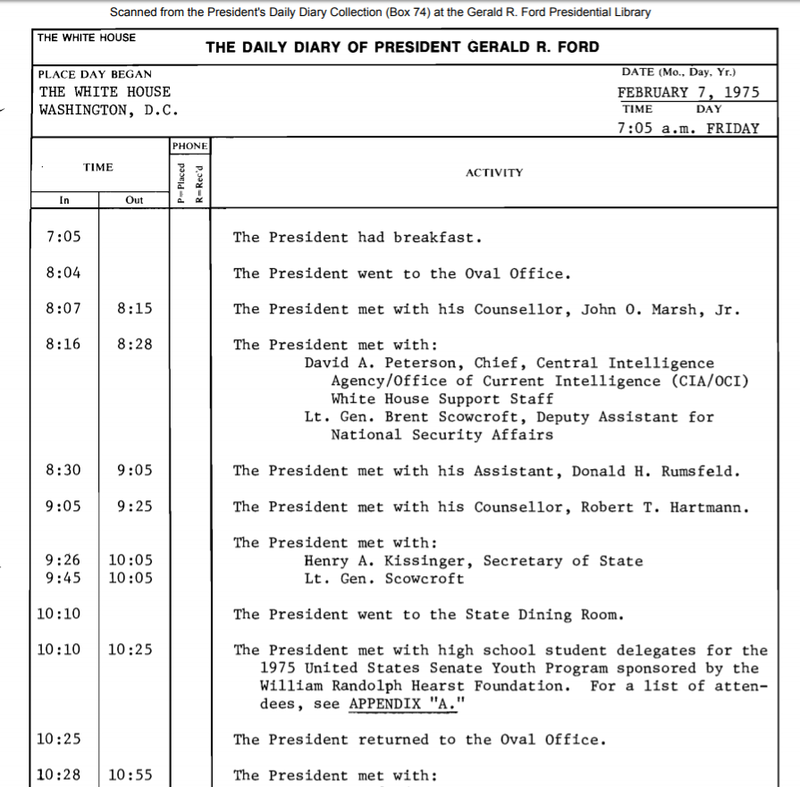 Below, Page 1 of President Ford's schedule, today in 1975. It goes on for five pages, with appendices.